Our annual Solemn Requiem Mass, co-sponsored with the New York Purgatorial Society and the Society of St. Hugh of Cluny, will be offered next Thursday, November 6th at the Church of St. Agnes in Manhattan. The Mass will be offered for our deceased family members, friends, and fellow artists. Please send names of intentions in an email marked “Requiem Mass intentions” to catholicartistssociety@gmail.com. All the names will be given to the priest offering the Mass, and placed in the catafalque. 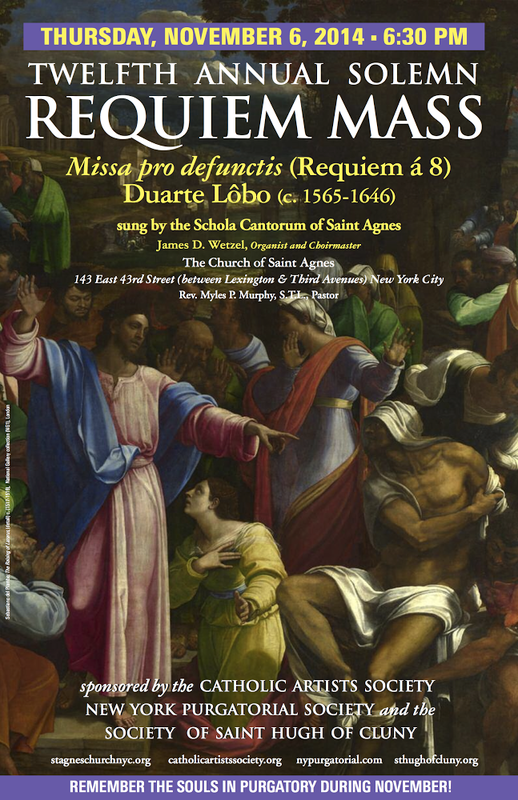 The Schola Cantorum of St. Agnes, led by James Wetzel, will sing Duarte Lobo’s glorious Renaissance setting for 8 voices, Missa pro Defunctis (Requiem à 8). 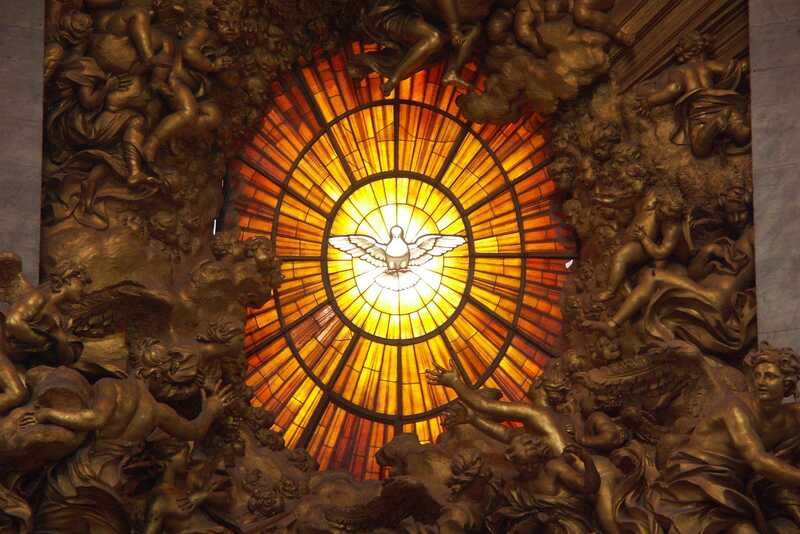 This is a rare opportunity to hear this treasure of sacred polyphony in the service of the liturgy for which it was composed.